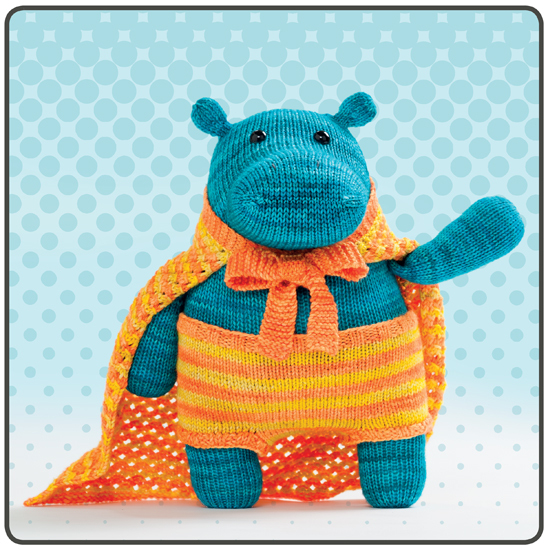 Whether you're a beginner or an expert, you can use your knitting superpowers to create loveable, huggable superheroes. Create your own league of extraordinary animal sidekicks--squirrels, cows, dogs, sheep, raccoons, and more--each with a secret identity. These colorful superheroes will fly off the page and into your heart! Knitting to the rescue! 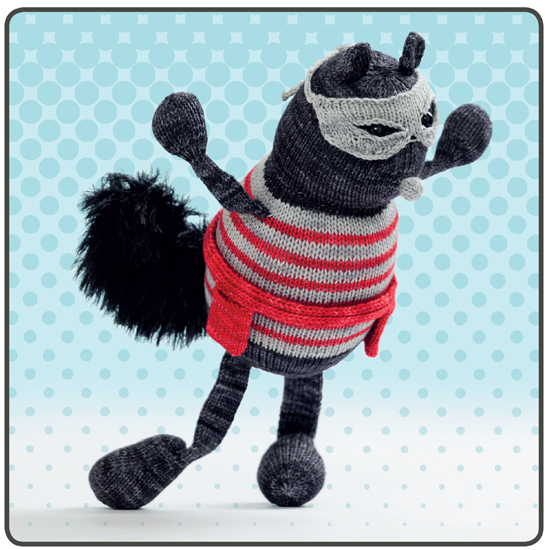 Don't be fooled, the characters in this book are definitely not just for kids. Rebecca's imaginative super animals in her signature style are bursting with creative goodness. 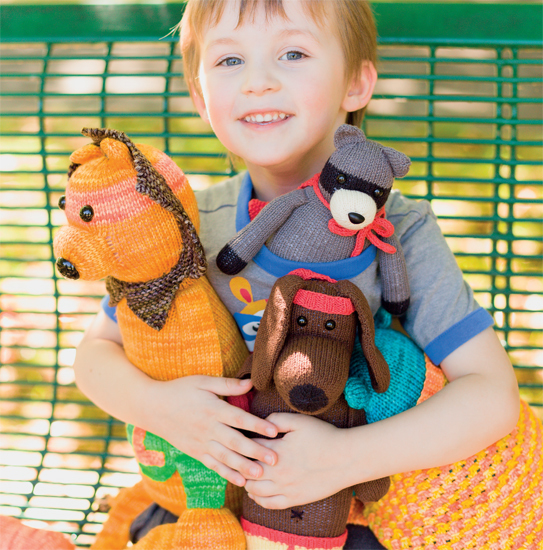 Each one comes with his or her own story and alternative yarns. 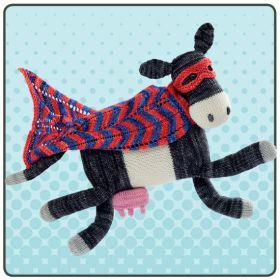 Best of all, you don't need to be a pro to create your own superhero buddy and you can bust your stash at the same time! 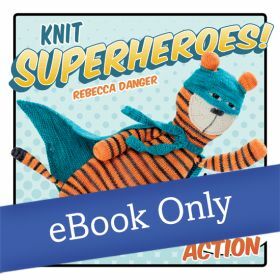 Rebecca Danger has made a name for herself knitting monsters and other scary critters, but her latest pattern book is devoted to the good guys: superheroes. Whether your taste runs to the masked, the caped or both, these courageous critters are ready to save the day--the knitting day, that is. Danger includes one human hero (the whimsically monikered Landon Ludwig, Wonder Kid), while the rest of the gang (including alligator, racoon, giraffe and lion) hail from the adorable section of the animal kingdom. 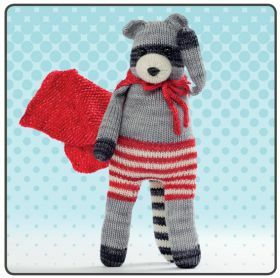 Each features charming details such as striped pantaloons, lace-up sneakers, even a cape with a lightning bolt blazoned across the back. 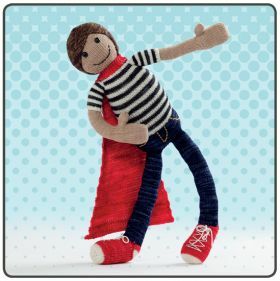 Patterns include plenty of close-up photos, step-by-step directions, even a paragraph describing the habits and personality of the superhero. 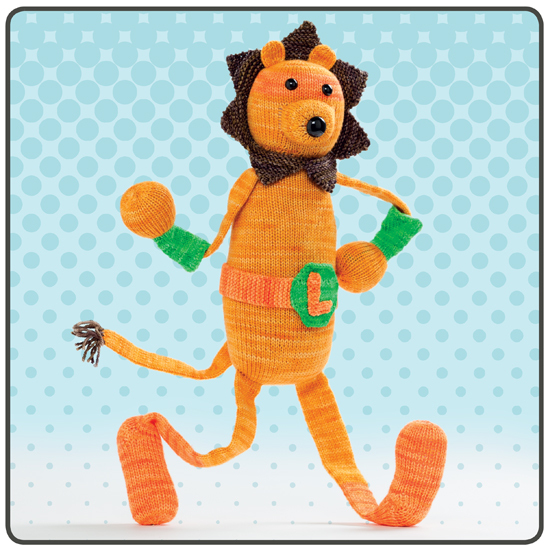 These heroic and huggable crusaders will surely thrill kids and adults alike. 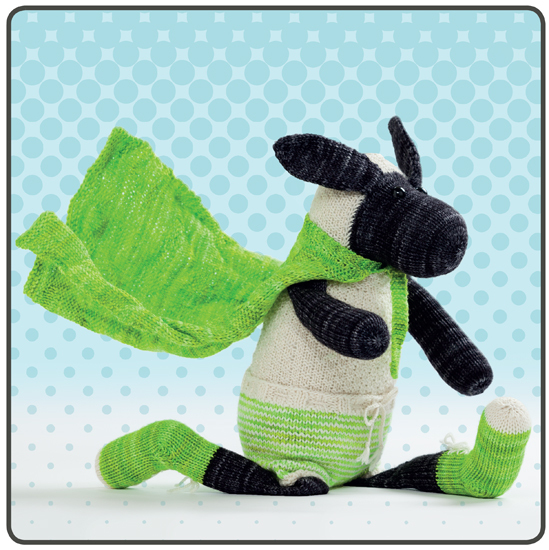 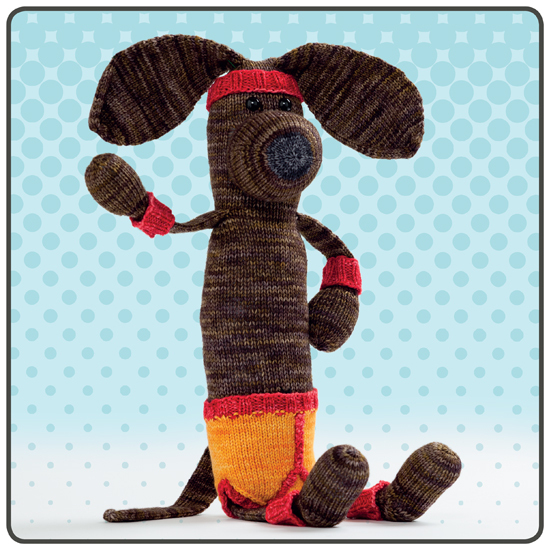 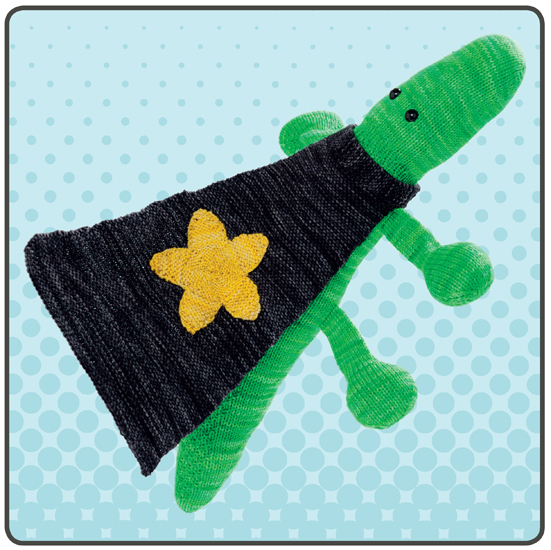 We've lost count of the days where we could have used a hero around here, but with Martingale's new Knit Superheroes! 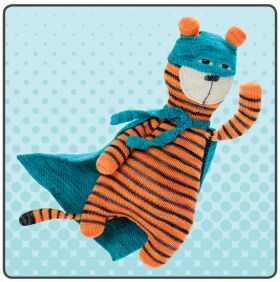 book, 12 animals (caped, masked, and ready for action) are on their way. From "Heroic Herschel, the Happenstance Hippo" to "Harry Elefante, Lounge Singer Extraordinaire", or one of 10 other marvelous heroes, we're sure our crises are covered! Because the author herself swoops to our rescue with detailed photos and knitting instructions, we feel safe with this book in our arsenal! 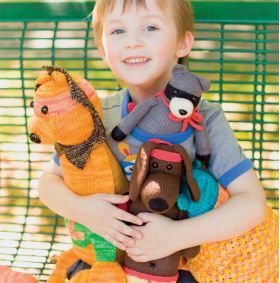 Rebecca Danger of Lake Stevens, Washington, is a craft-pattern designer who believes crafting is a lifestyle, not just a hobby. 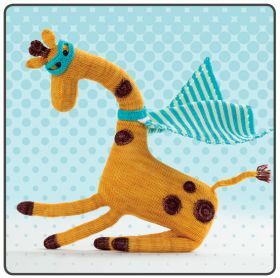 Since she really, really, really likes to knit, she started knitting rather obsessively and writing patterns of her original toy designs in February 2009. 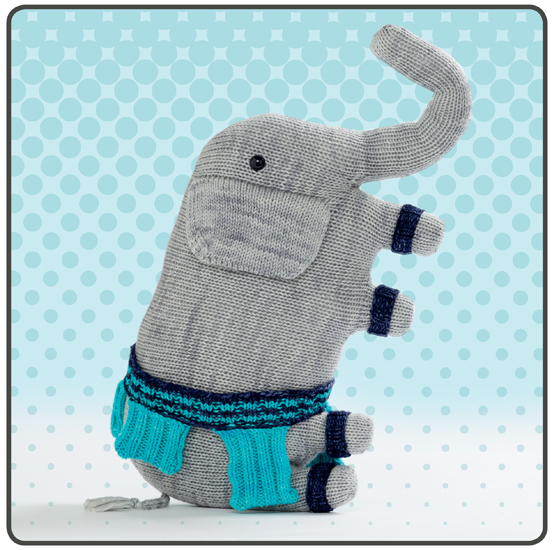 She really likes this since it means she gets to knit all day, tell the government that all of her yarn purchases are business expenses, and still afford to feed her family. She's got a great blog that you should visit: rebeccadanger.typepad.com.